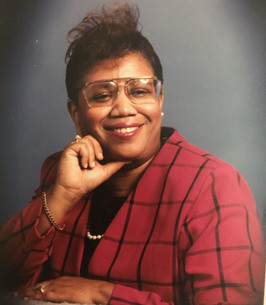 Mrs. Dorothy Taylor Service Details - Belleville, Illinois | Serenity Memorial Chapel LLC. Mrs. Dorothy J. Taylor leaves to cherish her memory daughter; Tina Brown of Swansea, IL, four sisters, Barbara (Michael) Stewart of O’Fallon, IL, Brenda (Delano) Brown of Collinsville, IL, Annette Brown-Jones (Lawrence) of Washington Park, IL, Carrol Brown of Saint Louis, MO, three brothers; Claude (Lillie) Ervin of Wyden, New York, Willie Brown, Tomlie Brown both of East St. Louis, IL, three grandchildren, one great-grandchild, a host of other relatives and friends. To send flowers to the family of Mrs. Dorothy J. Taylor, please visit our Heartfelt Sympathies Store. My sister and friend Annette Brown Jones. Psalm 91- He that dwelleth in the secret place of the most High shall abide under the shadow of the Almighty. You shall say of the Lord, He is your refuge and your fortress: your God; in him will you trust. Sister continue to lean and depend on God because he will and has proven he has you in his hands. To the Fill of Mrs. Dorothy Taylor: Please accept my deepest condolences for the loss of your dear loved one. Death is never easy, but may you find comfort in the promises found in God' s Word, the Bible. He promises to soon put death to nothing (Isaiah 25:8), and to.resurrect our dear loved ones from death (John 5:28,29) I hope His promises bring you a measure of comfort at this difficult time. And once again, I'm so sorry for your loss.